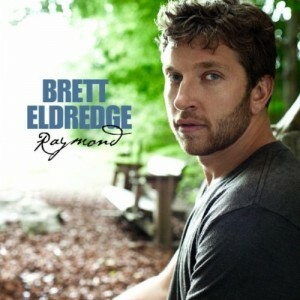 Brett Eldredge is a newcomer in country music. Raymond is the name of the song and its the story of a gentleman that works at a nursing home. He befriends a nice lady who is a resident there. She is suffering from memory loss and believes the gentleman is her son, Raymond. Today there are people living longer and as a result it seems more of seniors are suffering from some form of memory loss in their later years. It can be a sad situation for the family and friends of those with memory loss. It’s hard to look at your grandma, mother, brother, or friend and realize they don’t remember who you are. Raymond is a beautiful song and a beautiful story of how the man and the lady share a special bond. The lady believes she is getting to spend time with her son and the man is able to have a friend that enjoys his company. This is an emotional song and I’ve already had people mentioning it to me and asking who sings the song about the lady with Alzheimer’s. You know a song is going to have an impact when your friends and family you normally don’t discuss music with have questions about a song. Raymond is a special song that will likely be around for many years. What are your emotions when you hear the song? Having a grandmother with memory loss this song makes me think of her and all the good laughs we shared. She might not remember who I am today, but she can still remember the good times she had way back in her younger days. She’s a great lady. It’s pretty clear in the video that he’s never run a floor buffer before! I think its an emotionally moving song. Its beautiful. Agreed. This is one of my favorites songs out right now. Real emotional and powerful. The situation connects with a lot of folks. i love the song to death its one of the best songs ive heard in a long time, it made me cry. i love it, and btw u look freakin hot in the video. Hey I LOVe the song Raymond. I know ever word to ever part.I would love to be a sing my gandmother want me to be that been my dream.I know ever country song word from word.I love to sing. My brother “Raymond” passed away last year, and my mother passed away about 15 years before him. If she would have lived the she would be truning 94 and he was turning 71 when he passed. He was her first born. The song truly is beautiful. Thanks for the song and for the emotions. the song raymond is just amazing! i work in a nursing home and see these kind of things happen all the time its very sad! i think everyone should listen to this song its very touching! i thank you for making this song now ppl see how it is for me at work! its not just a song to me its life and reality! That guy hit it out of the park, a truly touching song/story.